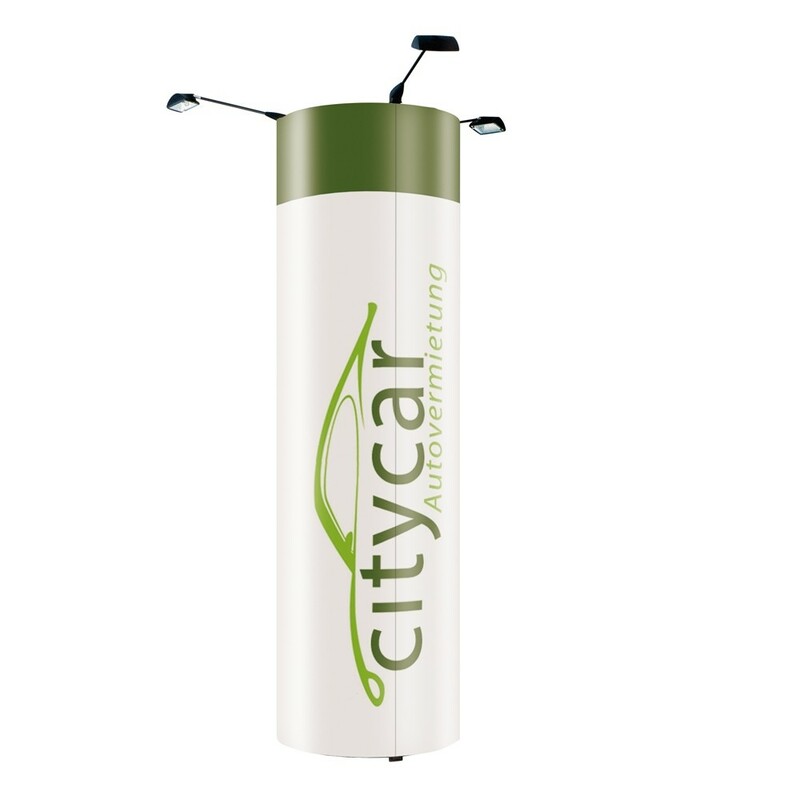 The free-standing tower pop up graphic display is a unique round cylindrical display that catches great attention from all 360 degrees. The display is made from an aluminum based pop up frame, with included PVC graphic custom printed panels from the customer’s artwork. Also, instead of graphic panels, fabric Velcro panels can be used instead. The display stand is very easy to set up and take down, which is easily portable when folded into its included carrying case. The tower display stands at almost 8 feet tall, thus grabbing attention from all angles from afar. Tower display stand with product window also available.